Four Italian-Americans from New York's lower East Side hang around at a local bar. Charlie (Harvey Keitel), the most responsible of the group, tries to protect his girlfriend's cousin Johnny Boy (Robert De Niro) from the local debt collectors, but his young charge seems determined to live fast and die young. 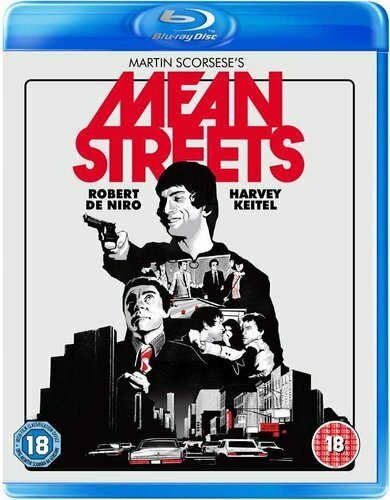 Heavily influenced by the French New Wave, 'Mean Streets' provided the first high-profile success for director Martin Scorsese and star Robert De Niro.